It seems like just yesterday Apple unveiled the iPhone 6 and 6 Plus. For all the Apple fanboys/fangirls out there it was an exciting time. 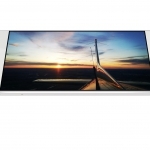 The iPhone 6 was slightly larger than the 5S, and the 6 Plus, with its 5.5-inch display, marked the Apple’s first foray into the “phablet” territory. As I wrote last year, there weren’t that many upgrades to the iPhone camera. 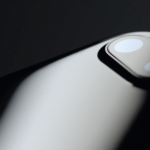 Apple upgraded iSight with optical image stabilization and phase-detect autofocus. (Yawn) Great for people who shoot in low light, or have shaky hands. But, it’s September of 2015 and that means another Apple event. What makes me excited about today’s event? Well, if the rumors are true, a new iPhone 6S and 6S Plus with an upgraded camera. The rear camera will be upgraded to 12MP, which is a huge upgrade from the 8MP in previous iPhone models. The front camera will be upgraded to 5MP, which is a big boost from the 1.2MP option on there now. Tim Cook introduced Phil Schiller to the stage to go over what’s new with the new iPhone 6S and the iPhone 6S Plus. (Say that 10 times fast) Since I am only interested in the camera, I am going to skip over the news about the growth of the iPhone, as well as the available colors. So here’s what was announced with the new iPhone camera. 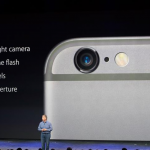 The new iPhone cameras now come with the all-new iSight camera; in fact, it’s now a 12MP iSight camera. That’s now 50% more pixels than before enabling great details in your photos. Being cautious about photo quality, Apple wanted to make sure they could add more pixels without degrading photo quality. How did Apple do it? Phil started to explain the iSight sensor. It has 50% more pixels, and 50% more focus pixels, so it’s autofocus is faster and more accurate. Typically, when you’re taking a picture, the light comes in and the photons excite the photo sensors. As you pack the pixels closer together, there are artifacts. This is called crosstalk. If the colors bleed in between diodes, if the colors get too close you end up getting inaccurate color and noise in your images. Apple worked hard to reduce this and maintain image quality. They’ve taken the color filters that sit above the photo diodes and moved them down on top of the diodes. In addition to this step, Apple has something called ‘deep trench isolation’ which separates photo diodes and helps maintain precise color. Bottom line, Apple wants to make sure your pictures are looking good! In addition, there’s a new FaceTime camera. It’s a 5MP FaceTime HD camera. Now you can take incredible detailed selfies for you to post as you normally would to all of your social channels. Getting into the flash in the back of the phone, Apple has True Tone flash. True Tone flash it matches the ambient light in the room for more accurate flesh tones. They wanted to bring this to the front of the phone for the FaceTime camera. So what did they do? 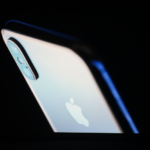 They are now going to use the retina display as a retina flash, one that matches the ambient lighting color, and it can be a True Tone flash. This took some amazing engineering from the Apple team. Even in low light, you are getting incredible photos. Well-done guys! Now here is the icing on the cake from Apple. They wanted to do something more with photos. What if you can press the photo, with Apple’s new 3D touch, and the photo goes into a 3 second video? This is an entirely new technology they call ‘Live Photos’. Let’s review what Live Photo is because it’s seriously very cool: You can take photos, just as you’re used to, and when you press the photo, it plays a 3 second video, 1.5 seconds from each side of the photo. Live Photo can also have sound! It’s a beautiful experience. You don’t have to do anything different to get Live Photo. On top of the status bar there is a new icon. You’ll see 3 yellow circles that are on by default. When you take the photo, you’ll get an indication that it’s live. These are still photos, not video! They are 12MP hi-res photos. All Apple has done is extend the capture moment just before and after you took the photo. Live Photos is supported across all of their platforms. You can even set a Live Photo on your new iWatch. Even Facebook will support Live Photos later this year. So, that’s the roundup of what’s new on the new iPhone 6S and iPhone 6S Plus. With everything we’ve mentioned above, do you think you’ll be waiting in line to get the new iPhone? Let us know in the comments section below!